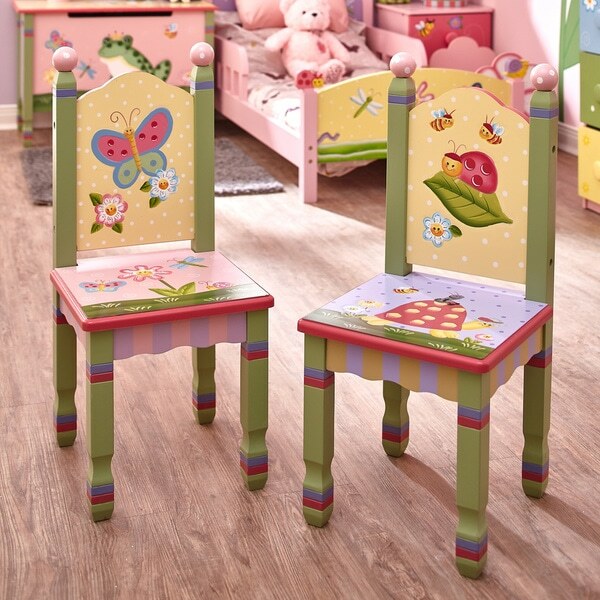 Decorate your home with style and color using this chair set featuring a green, pink, purple and yellow finish. The perfect place for a princess, the Magic Garden Chair Set offers your little one her very own place to spark her imagination. Perfect for coloring, arts and crafts, or snack time, this set is the perfect spot for creative play time, any time. Hand painted and featuring high quality durable wood, this chair set offers the reliability and functionality of a set that is meant to last. Some assembly required. Perfect for ages 3 and up.